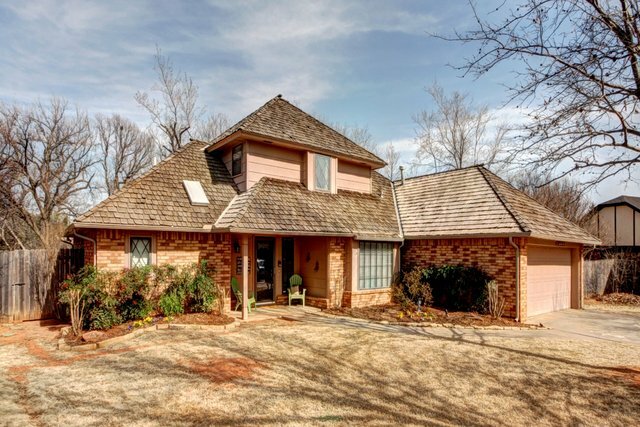 Lot Size: 12926 Square Ft.
Nicely Updated home in East Edmond. Kitchen has been updated w/ glazed cabinets w/ new hardware, granite counter tops, & stainless appliances including double oven. TWO spacious living areas. One living area open to dining room. Family room includes vaulted ceilings, lots of windows w/ great natural light plus hardwood floors. Master suite is downstairs w/ double vanity & separate shower & tub. All other bedrooms are upstairs. Neighborhood pool!! Plus walking distance to Elementary School.